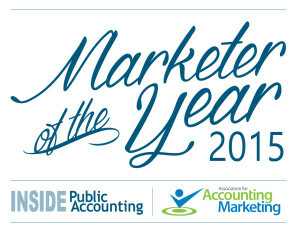 Eric Majchrzak, chief marketing officer (CMO) and partner at Tucson, Ariz.-based BeachFleischman (FY14 net revenue of $21.9 million), has received the Association for Accounting Marketing’s (AAM) 2015 Marketer of the Year award, sponsored by INSIDE Public Accounting (IPA). BeachFleischman is part of LEA Global. The winner was announced by IPA Publisher Kelly Platt and IPA Editor Chris Camara during the June 8 gala awards presentation at the AAM Summit in Orlando, Fla. The Marketer of the Year presentation was the highlight of the gala, which honored recipients of dozens of marketing achievement awards, now in its 21st year. Majchrzak is credited with helping create a publishing culture at the firm, by working with more than a dozen staff members to write more than 75 pieces for the firm blog. The new content heightened awareness of BeachFleischman and the expertise of its CPAs, helped attract more than 19,000 new visitors to the site, and doubled revenue from new client website leads. Majchrzak came to BeachFleischman, the largest locally owned CPA firm in Arizona, in 2012, after nine years at Buffalo, N.Y.-based Freed Maxick. A highly successful digital marketer over his entire career, he developed and implemented programs at both firms that have produced a total of more than $7 million in new client revenue. Majchrzak is also chief marketing officer of BeachFleischman’s subsidiary company, Pinnacle Plan Design, which offers design and administration of employer-sponsored retirement plans. He considers himself an ambassador of the accounting marketing profession. He helps CPA firms around the country with marketing issues, speaks often at educational seminars, and has published dozens of case studies. He is a past AAM board member and former Rookie of the Year. This is the second year that IPA has sponsored the Marketer of the Year award. A panel of independent judges, who are themselves leaders in the profession, were selected by IPA to review and score each of the nominees. The Platt Group publishes the award-winning INSIDE Public Accounting newsletter and IPA Annual National Benchmarking Report. With more than 27 years of independent reporting and more than 23 years of surveying and benchmarking experience, IPA provides thought leaders across the nation with practical ideas, benchmarking data and information to help firms succeed. 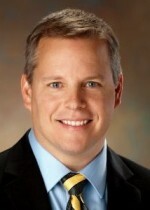 To learn more about The Platt Group and IPA, please call (317) 733-1920 or visit www.insidepublicaccounting.com. The Association for Accounting Marketing (AAM) promotes excellence, and elevates the professional stature of marketing, business development and other practice growth professionals to the accounting profession, directly impacting members’ professional development and careers through education, networking and thought leadership. Founded in 1989, AAM has more than 700 members, comprised of marketing professionals, business developers, CPAs, consultants, service providers, educators and students. 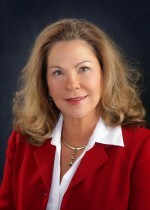 To learn more about AAM, please call (856) 380-6860 or visit www.accountingmarketing.org.